We've known about the 32mm f/1.2 for the Nikon 1 system for quite some time, as Nikon first gave us a development announcement on the lens last year. Today, it's been pre-announced. In June, it'll arrive. It's the old tell 'em what we're going to tell 'em, remind them what we're going to tell 'em, tell 'em marketing scenario. 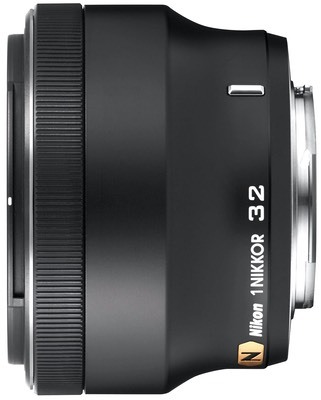 The 32mm is a much awaited lens, as it's the equivalent of an 85mm portrait lens (35mm equivalent) and fast. 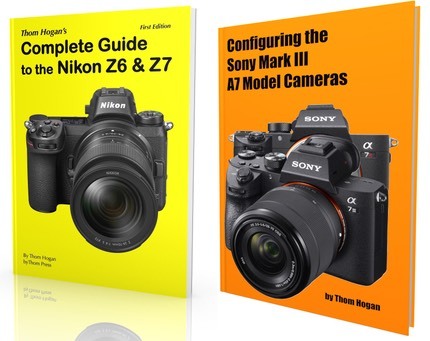 This should finally give Nikon 1 users the ability to clearly separate subject from background, though at a longer distance than the larger sensor format cameras can do it. Given how good all the recently introduced Nikon 1 lenses have been optically, we're all waiting to see just how well the 32mm performs. At US$900 with nano crystal coating, our expectations are high. As always, I've created a database page for the new lens.